Most consumers with bad credit feel that they will never get a car loan. 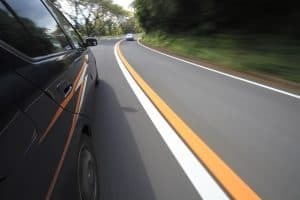 After years of being turned down by financial organizations, auto dealerships and their neighborhood banks, they are often ready to give up on their dream to own a new car. What they do not realize is that today, there are car loans available for people with bad credit, even for people with really bad credit. There are even financing options available for people who have filed for bankruptcy in the past. Whether you are looking to purchase a new or used vehicle, there are financing options available for people with bad credit. CarCredit.com can help you. CarCredit.com is a leading provider of auto loans and car financing for individuals with bad credit, bankruptcy issues and other financial problems. Whether you have bad credit, no credit or past financial or bankruptcy troubles, there are car loans and financing options available to you. CarCredit.com offers new and used auto loans for people with bad credit. If you are interested in financing a new or used car with bad credit, start by visiting CarCredit.com. We have partnerships with auto dealerships across the nation that offer car loans and new or used car financing to consumers with bad credit. CarCredit.com can help you get the financing you need to purchase a new vehicle. CarCredit.com offers car loans and car financing to people with bad credit. If you have exhausted all of your efforts to get a car loan and you think that you will continue to be denied because of bad credit, there is still another option waiting for you. Many customers with bad credit have been turned down for car loans in the past, but finally get the car financing they need when they visit CarCredit.com. Visit CarCredit.com and fill out an online application. The entire process is simple, efficient and free! Customers with bad credit can also use the online loan calculator on CarCredit.com to determine their approximate monthly payment. They can enter all the information they have about the vehicle they are purchasing, along with any trade in or down payment information and the approximate monthly payment will be calculated. If you are eighteen years of age or older, you can apply for an online car loan, directly from the CarCredit.com website. CarCredit.com has relationships with auto dealerships across the nation, and these auto dealerships offer car loans and car financing to consumers with bad credit. Once you have completed the application, within twenty four hours, you will be contacted by a dealership in the local area that offers bad credit financing and car loans. If you have bad credit and you are in need of a new car, your experiences at car dealerships can be very frustrating. There are many car dealerships that will not even speak to customers once they find out that they have bad credit. So where does this leave the person who needs a car to get to work, but has bad credit and cannot get an auto loan? The entire situation is extremely aggravating and frustrating. Through the assistance of CarCredit.com, customers with bad credit can now be referred to a car dealership where bad credit is ok! CarCredit.com has strong and lasting relationships with car dealerships across the nation that offer car loans and car financing options to consumers with bad credit. Visit CarCredit.com to find out about guaranteed car financing for customers with bad credit. Fill out an online application and within twenty four hours, we will put you in touch with a car dealership in your area, where bad credit is ok and they can help you get a bad credit (or higher risk) car loan. Even if you have filed for bankruptcy or had severe financial problems in the past, CarCredit.com can refer you to a reputable car dealership that can assist you and help you get the auto financing you need. If you are looking for a car loan but you have bad credit, CarCredit.com can assist you. Many consumers with bad credit find it extremely frustrating when they try to obtain a car loan. They often walk into a car dealership with high hopes and their hopes are deflated when they are quickly turned away by a sales person or finance manager who finds out that they have bad credit. There is however, another alternative to these customers with bad credit. That alternative is CarCredit.com. CarCredit.com offers car loans and car financing to people with bad credit. If you have exhausted all of your efforts to get a car loan and you think that you will continue to be denied because of bad credit, there is another option at CarCredit.com. If you have bad credit, fill out the simple, online application on the CarCredit.com website. Within twenty four hours, you will be contacted by a car specialist at local auto dealership that can offer you the financing you need for your vehicle. So if you have bad credit and need a car loan, let CarCredit.com help you get the auto loan you need today. Believe it or not, today there are financing options and car loans available for people with very bad credit. In the past if you had very bad credit and past bankruptcy or financial problems, you could not obtain a car loan. This has changed however, because of the options available from companies like CarCredit.com. CarCredit.com offers car loans for people with very bad credit or past financial problems. Through strong partnerships with a network of auto dealerships in all fifty states across the nation, carCredit.com offers car loans and new or used car financing to consumers with very bad credit. CarCredit.com can help you get the financing you need to purchase a new or used vehicle. Even if you have very bad credit, we guarantee that you can get a car loan. Visit CarCredit.com and fill out the simple, online application. The application is a simple two-step process that takes only 60 seconds to complete. Within twenty four hours, you will be contacted by a car specialist at local auto dealership that can offer you the financing you need for your vehicle. So even if you have very bad credit and need a car loan, CarCredit.com help you get the car loan that you need. If you have been looking at cars, but you are concerned that you have a very low credit score, you can still get the financing that you need for a vehicle. CarCredit.com offers car loans and car financing options to consumers that have a low credit score or bad credit. If you have unsuccessfully tried to get a car loan and you think that you will continue to be denied because of a low credit score, there is another option available at CarCredit.com. Take a minute to visit CarCredit.com and fill out the online application. It is a very simple process that takes only one minute to complete. Once you have filled out the application you will be contacted within twenty four hours by a dealership that can offer you the vehicle you want and the car loan you need. Don’t worry about your low credit score, CarCredit.com can help you obtain the financing you need for a new or used cars. CarCredit.com has over twelve years of experience in the industry and they are the leading provider of auto loans and financing for customers with bad credit, a low credit score or other financial problems. Contact CarCredit.com today to get the car loan you need. CarCredit.com can help customers with bad credit obtain car loans for new or used vehicles. 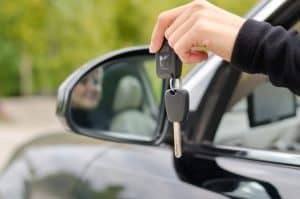 If you are looking for used car loans and financing options for people with bad credit, visit CarCredit.com. CarCredit.com is a top provider of car loans and auto financing for customers with bad credit, and other credit related financial problems. They have relationships with auto dealerships across the nation, and dealerships offer new and used car loans and car financing options to consumers with bad credit. Customers with bad credit that want to purchase a new or used vehicle are often concerned about obtaining the financing they need. Through CarCredit.com, these customers can find local dealerships that offer used car loans to consumers with bad credit. The process is very simple. Consumers should visit CarCredit.com and fill out the online application. Once the application is completed, the customer will be contacted within twenty four hours by a dealership that can offer used car loans and other financing options. If you have bad credit and you need a used car loan, visit CarCredit.com today.